The California Legislature passed a bill last week which will permit non-citizens who are in the US legally to serve as jurors and act as poll workers. The bill is currently sitting on the Governor’s desk. I have practiced law for 20 years primarily as a criminal defense attorney. As such, I have picked juries on behalf of my clients in a variety of misdemeanor and felony trials. A juror’s decision can literally mean the difference between life and death for a Defendant; conversely, from the prosecutor’s perspective, a juror’s decision can mean the difference between removing a dangerous person from society or continuing to subject society to that individual. I have witnessed many reluctant jurors who are citizens attempt all sorts of trickery to avoid service. In one such case a Dentist feigned not being able to speak English to get out of service, even though she had received her dental education in the United States. Despite instances like that, most people appear for jury duty and do their best to serve the ends of justice and make a fair and impartial decision. But even with the best of intentions, it is difficult for jurors who are citizens to sometimes grasp the meaning of the criminal legal standard Beyond a Reasonable Doubt. I imagine there are similar difficulties understanding and applying the civil standards jurors in civil cases must consider. Not surprisingly, American citizens are at a significant advantage over non-citizens in understanding the various legal standards. From elementary school until the age of eighteen when American citizens are permitted to vote and serve as jurors, American educated students study the history of our country which includes our legal system. This gives a context to the nature of being a juror that many non-citizens necessarily lack. In addition, just from living in our country we are given an informal (although perhaps not always accurate) education as to our legal system from media reports on significant cases. The merits of the OJ Simpson case aside, its very existence served to educate legions of children on the basics of a trial (Judge, Jury, Defense Lawyer, Prosecutor, and Bailiff). You could rightly argue that some non-citizens who arrive as infants to this country have an experience identical to an 18-year old born in the United States. However, many non-citizens have not had that experience even though they may be recognized as permanent residents by the US Government. Finally and most importantly, being a citizen means you have a stake in this country. This means you have an interest in making sure its institutions function properly for all Americans because if they do not, then it is a reflection on you. All naturalized Americans, like my father, had to take an oath in order to become a citizen. Those solemn words require that you agree to protect the Constitution and defend the nation with your life if necessary. By definition non-citizens have not taken that oath promising to uphold our constitution which includes our legal system. To those who say the oath is only words I would remind them that the same may be said about our Constitution. But it is those words that helped free us from monarchy, created a classless society, eventually freed slaves and allowed women to vote. Governor Brown should veto this bill. 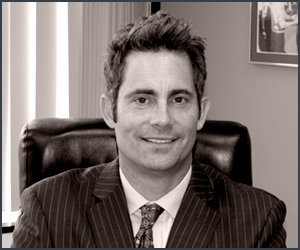 Criminal Law Updates Law Offices of Orange County Defense Lawyer William W. Bruzzo (714) 547-4636.